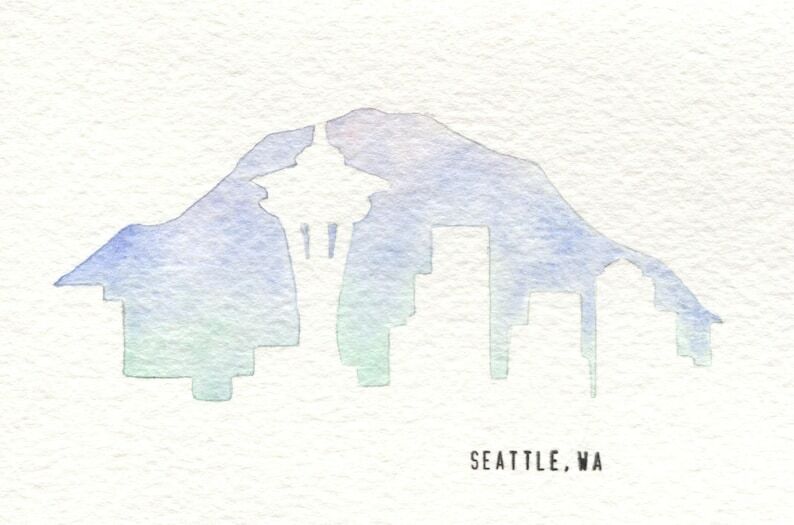 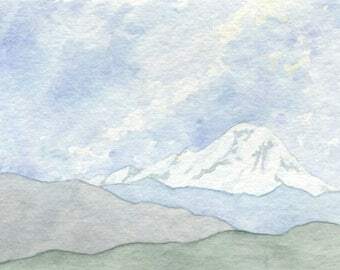 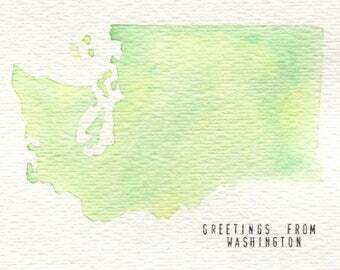 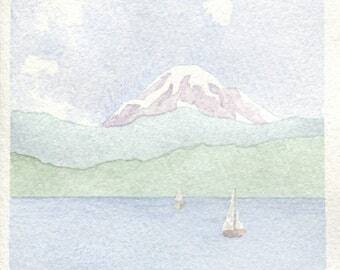 Hand painted watercolor and ink card - Seattle, Washington skyline and Mount Rainier. 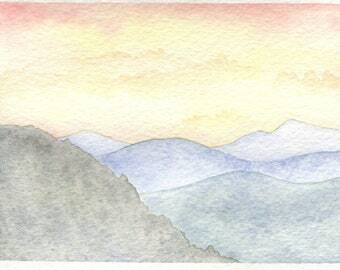 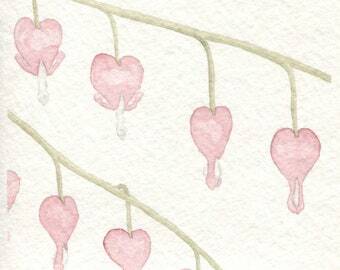 Approximately 4 x 6 inches on 140 lb watercolor paper. 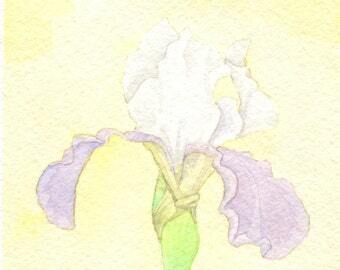 Blank inside, envelope included - good for any occasion.